Amount of columns : Amount of columns to displays the files in the Field. Files sorting : Enables files sorting after the upload. Position of the delete : Checkbox option to delete files position. Position on the upload : Position of the records when uploading. Show status : Display the upload status. 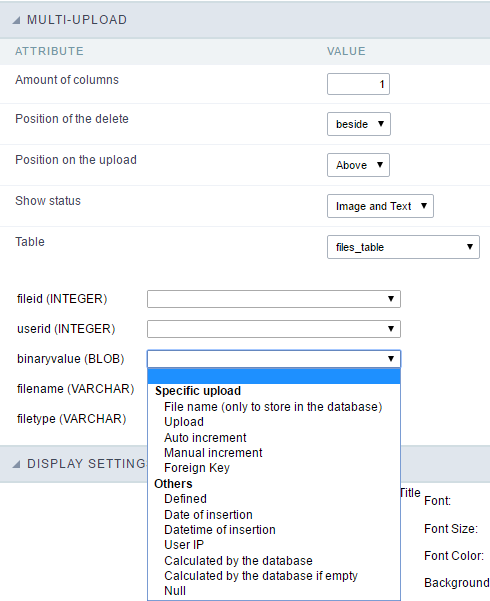 Table : Select the table that will store the information of the files when uploading. 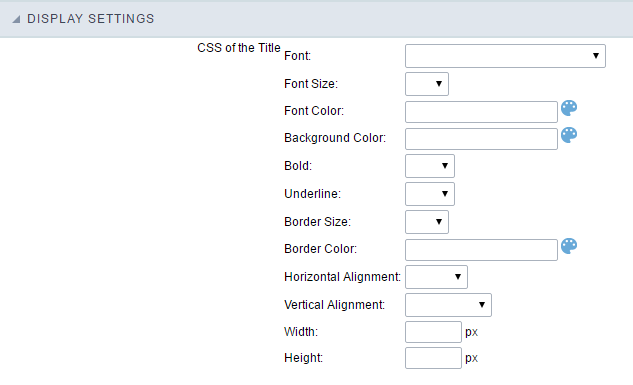 After selecting the table, you will see a list of all the fields of the chosen table, where you will associate the parameters for each field when inserting a new record or updating an existing record. 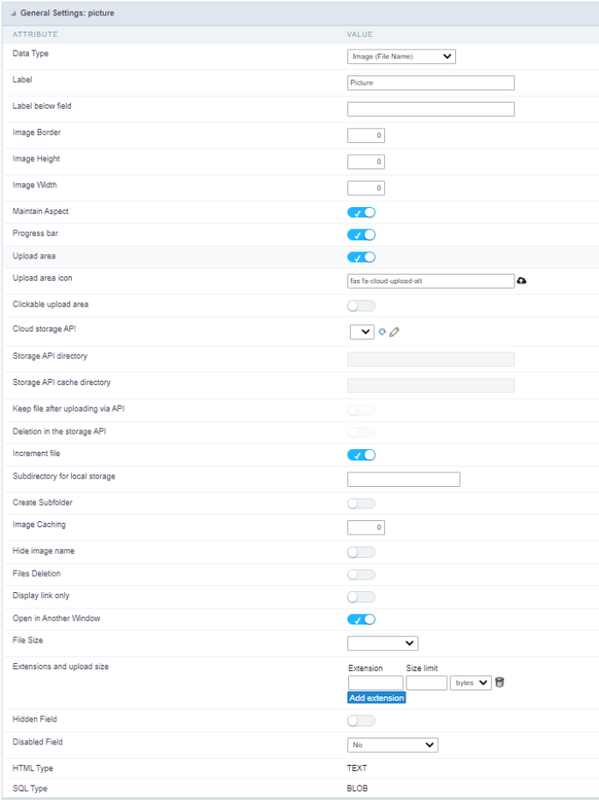 Multi-Upload fields of the table Configuration. File Name : Obtains the name of the file that is being loaded. Upload : Obtains the binary value of the file. 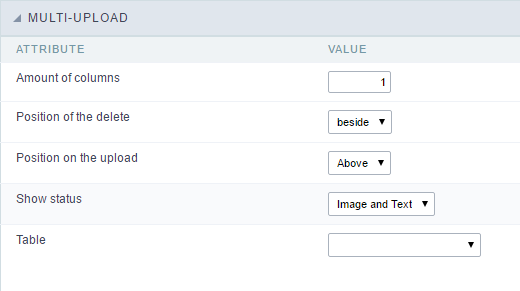 Auto Increment : Used only when field in the database in an auto increment or similar. Manual Increment : The form will be responsible for managing the auto-increment, calculating the value of the field before inserting the record. Foreign Key : Associates the file with a value of a field in the current form. Date of Insertion : Obtains the data of the server when inserting the record. Datetime de Insertion : Obtains the data and time of the server when inserting the record. User IP : The field will contain the IP of the computer that is accessing the application. Calculated by the Database : The value of the field is applied in the database. Calculated by the Database if empty : The value of the field is applied in the database if not informed by the application. Null : The field will the null value.